In Match 24 of VIVO Indian Premier League (IPL 2019), Mumbai Indians will host Kings XI Punjab at Wankhede Stadium in Mumbai on Wednesday. KXIP come to the match with three consecutive wins in their home ground, while Mumbai Indians defeated Sunrisers Hyderabad in their previous encounter. Mumbai Indians’ pacer Joseph Alazzari took six for 12--the best bowling figure in IPL history. Rohit Sharma will look to lead by example at the top of the batting order along with Quinton de Kock after failing to put on a quality show so far. While KXIP are placed at the third spot in IPL points table 2019 with four wins from six games, MI are fifth with three wins from five games. With the league closing in on the middle stage, each team will now look to grab the advantage and surge forward. 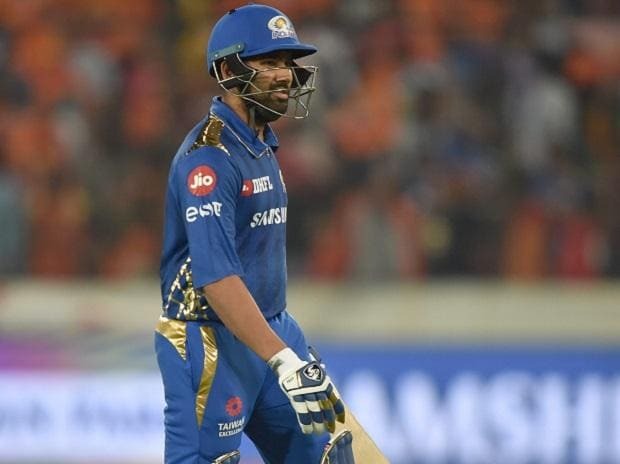 The main concern for Mumbai Indians are form of their batters at the top as they don’t have anyone in the top-20 run-scorers' list in IPL 2019. However, they have a superior fast bowling attack bolstered by the inclusion of West Indian pacer, Alzarri Joseph, who blew away Sunrisers with his record-breaking haul of 6/12 in Hyderabad. Mumbai Indians have a formidable pace attack with Jasprit Bumrah and left-arm Jason Behrendorff also there, along Hardik, to utilise the bounce and carry on the Wankhede track. Kings XI Punjab batsmen have slow start in IPL 2019 as they look to keep wickets in hand. While it cannot be denied that they have played their last two games on conditions that weren't best for batting -- in Chennai and Mohali -- the wicket in Wankhede should aide stroke play and considering the form that the likes of KL Rahul and Mayank Agarwal are in, they would be waiting to put on their pads and take strike. In bowling, skipper Ravichandran Ashwin (7 wickets) has done well in five out of six games that the team has played and has got good support from the likes of Sam Curran, Mohammed Shami and Murugan Ashwin. MI vs KXIP match live streaming will be available live on Star Sports 1 HD, Star Sports 1 in English Commentary and Star Sports 1 Hindi, Star Sports 1 Hindi HD in Hindi Commentary. One can also live stream the MI vs KXIP 2019 IPL match on Hotstar app and Tatasky app. The fans can also watch in-depth analysis of live match on Star Sports Select 1, Star Sports Select 1 HD.